← Athena SWAN results announced! Managing stress during the examinations period can be really challenging and having a few extra practical strategies to help cope can be very useful. With this in mind, the two ‘Life Tools’ talks next week are specially designed to enable students to reduce their stress levels and manage the pressure. 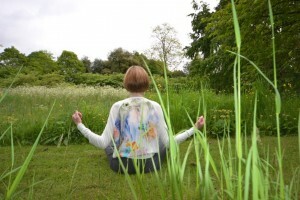 The first talk ‘Mindfulness for stress reduction’ is on Wednesday 4th May at 1.00pm. Students should come along to learn some practical techniques to enable them to cope with the challenges of the exams period. The talk will be in Carrington 101 and there is no need to book a place – just come along on the day. Professor Mark Williams, Professor of Clinical Psychology at the Oxford Mindfulness Centre says that “Mindfulness can be an antidote to the “tunnel vision” that can develop in our daily lives, especially when we are busy, stressed or tired………… Most of us have issues that we find hard to let go and mindfulness can help us deal with them more productively.” Mindfulness is also one of the 5 steps for good mental wellbeing advocated by NHS Choices (2014). The second talk on Thursday 5th May at 3.00pm is ‘Managing exams pressure’. At this talk student will learn strategies to manage revision and exams pressure effectively. The talk is also in Carrington 101 and will be around 45 minutes, followed by the chance to ask questions. Again, there is no need to book a place – just come along on the day for hints and tips to help you through the exams. This entry was tagged Mindfulness. Bookmark the permalink. This blog is brought to you by the School of Archaeology, Geography and Environmental Science. Please follow and enjoy! new blog posts written by our students! Athena SWAN Award Ceremony today!